Saw a note circulated today, but no additional news since. It's in BACM 2007-1 and BACM 2007-2. Cantor is putting together a $1 billion CMBS loan with Wells Fargo. $186mm Hotel Loan with -0.03 DSCR Gets 5 year extension! Believe! There are special circumstances associated with the Park Hyatt Aviara Resort loan, but I never would have believed I'd see the day where a loan losing over $1mm a month after debt service (about 1/2% of the total balance) would get extended for 5 years a full year before it's maturity date, but here we are. 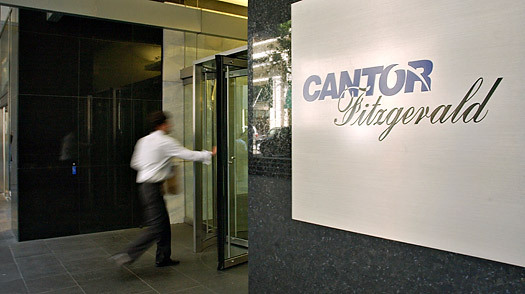 After a long dispute and subsequent arbitration with Four Seasons, the operator, Broadreach Capital (the owners) were able to replace them with Hyatt. Hyatt intends to re-brand it as a Park Hyatt (looks like they've already done it). The change in management contributed substantially to the servicer's decision according to the Bloomberg story on it. It also notes that all the payments are current now and the default (September '10) was simply a strategic move to enter the negotiations. 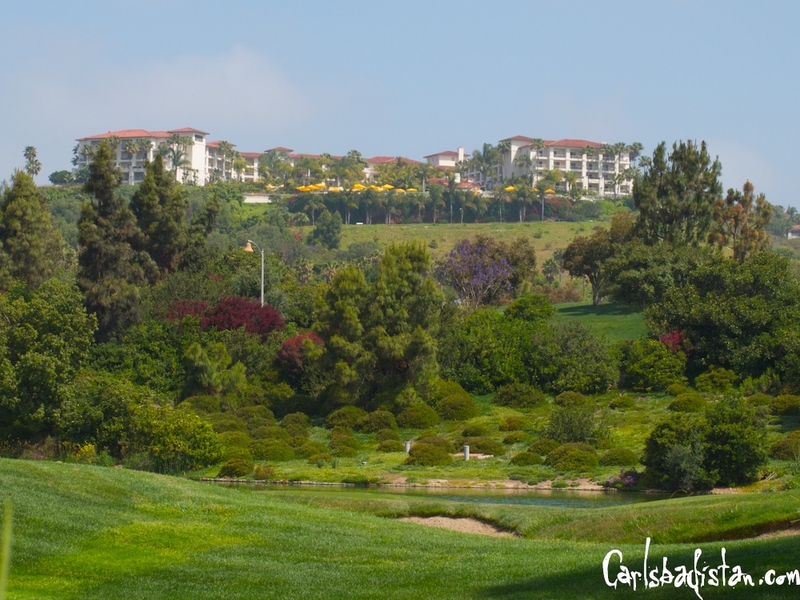 The loan is Four Seasons Aviara Resort - Carlsbad, CA in WBCMT 2007-C30. CW Capital is the Special. 329 keys, 18 hole Arnold Palmer course, renovated in 2006. It's now scheduled to mature in February 2017. Does anyone really put any stock at all behind anything Fitch says? Is there really anything left to downgrade at this point? The era of broad negative mortgage-backed securities ratings from Fitch Ratings is over. Sans a "few pockets of weakness," RMBS and CMBS downgrades will diminish significantly, the agency said this week. Despite persistently high unemployment levels and projections of a slow economic recovery, Fitch expects downgrades to be more incremental in nature, seen by notches and not rating categories. 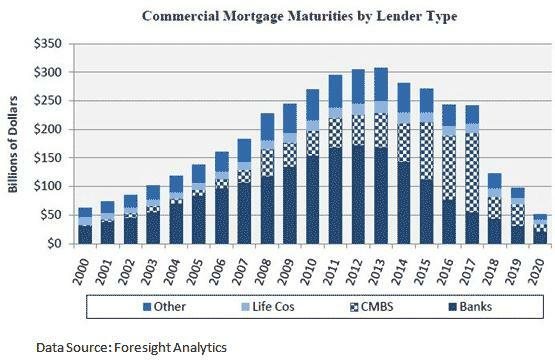 Fitch projects prime RMBS and most CMBS to be among the categories that demonstrate strong performance, even if economic trends deteriorate modestly. "New transactions issued over the next 12 months across all of structured finance will be more conservatively structured and demonstrate superior performance compared to past vintages," says Kevin Duignan, group managing director and head of U.S. structured finance for Fitch. LNR is foreclosing on the Concourse Towers in Miami and the Regions Center in Nashville, collateral for the $70mm FRI Portfolio mortgage in BACM 2005-3. There had been forbearance negotiations in place a few months ago, but the loan matured in May 2010 and the properties were subsequently jointly appraised at just $36.025mm. The troubles are two fold. In Nashville an attorney vacated roughly a quarter of the space. The servicer notes indicate that there was some potential for Regions to take that space themselves and another tenant that was interested in 225k sf, but it's not clear if either happened. The DSCR as-is is 0.92x - This sounds like a good fixer-upper for someone. In Miami, Colonial Bank occupied 8.73% of that property. It wasn't really clear what the status was though based on some cursory googling. Mark Heschmeyer, who I'm a big fan of, has some good highlights in his co-star column. Loans are getting done - again, please see Mark's column for more. Thomas D Wood secured $4.5mm for a shopping center bank loan at 1mL+335 and a 0% LTV. Thomas D Wood secured $3mm for a shopping center. Fully amortizing with a 15 year term and a 6.25% rate. In other news, there's a glitch in the housing market in Brooklyn and Queens with sales dropping 29.9% and 41.7%, respectively in the 4th quarter. Prices continued to drop throughout the year as well, down 8.4% citywide - Massey Knakal expects further declines. At the same time, CRE sales are expected to continue to strengthen in the Manhattan market in CBRE's opinion. Bloomberg reports (sorry, no link) that the 72-hotel Apollo-owned Innkeepers portfolio has a new bankruptcy proposal filed pushing for control by Five Mile and Lehman. This follows the prior proposal which was ultimately blocked by Midland, one of the Specials because, at least in part, it resulted in the sponsor retaining an equity position. The current plan focuses on the preferred equity holders retaining an interest in the 5 hotels that are not in CMBS deals and proposes an auction to see if there is a better bid from the market on the portfolio. In new issue we have snow, snow, and more snow. I heard one report this morning on the radio that every state except Florida had snow on the ground - even Hawaii! In all seriousness, the mainstream media and sell-side research continues to kick out articles on the new issue resurgence expected in 2011 in CMBS. See here, here, and here. Trepp came out last week noting that delinquencies were at an all-time high at 9.2%. 245 Fifth is on the market looking for a $170mm transaction price, and they'll probably get it given the upside in rents that is going to start being realized immediately as rent-free periods ended in late-2010 and rolling leases are below current market rates. The 310k sq ft office building is in CSMC 2007-C4 with a $140mm senior mortgage, 95% occupancy, 1.05x NCF DSCR, and a declining $2mm reserve balance (down from $3.6mm in April 2010). Citibank occupies 15% of NRA, Datamonitor has 9%, and Beth Israel Medical has 5% (had free rent through the end of 2010!). The mortgage is due on 5/11/2012. Nothing new here, but always good to see CMBS in the TOP news on Bloomberg. Deutsche Bank and UBS are teaming up to issue as much as $2.5 billion in commercial mortgage-backed securities linked to loans on office buildings, shopping malls and hotels in what would be the largest offering of its kind since the market froze in June 2008, according to a person familiar with the deal. JPMorgan plans to sell $1.5 billion in similar debt, a person familiar with that sale said. CIC acquired a 7.6 percent stake in General Growth Properties Inc. in November through a fund manager that participated in the bankruptcy reorganization for the second- largest U.S. mall owner. A CIC subsidiary holds a controlling stake in Beijing’s Bank of China Ltd., which agreed in November to lend investors $800 million to refinance an office building on Manhattan’s Park Avenue. AAA spreads still tightening while credit inching wider. Bank of America closed a deal to buy back $3 billion in resi paper from Fannie/Freddie on the last day of 2010. Does anyone know the real story here, not the WSJ version? Are a bunch of POs about to pay off early? Were these on the balance sheets of the Enterprises? Are they all in default, or does it include performing loans that might not have been underwritten to conforming standards? Worldwide investors apparently ranked the US as the #1 spot to put there CRE dollars to work. UK minister comments that too much regulation could 'snuff out innovation'. Reminds me of 2002 in Georgia when representatives passed new "predatory lending" laws on October 1st, and on October 2nd half the states lenders shuttered their operations leading to a dearth of available credit to homeowners (the laws effectively allowed a borrower to sue up to the investor level in an RMBS deal that had a loan in it that was in violation - in other words, your pension fund was on the hook for reps and warranties made by an illicit broker). Whether that was a good or a bad thing may be up for debate, but the law was quickly repealed and subprime lending resumed just a few short months later. I'm not making any defined resolutions for 2011, but there are going to be some changes coming to the blog. Over the weekend I looked over this site's stats and there are several thousand hits each month, and about a dozen different countries with readers in a typical month. We never started this with the intent to attract readers, it was more to keep track of our own thoughts - in fact, if I'd realized how many readers there were I might have been somewhat less blasé in many of my comments. Further, we deleted a large number of posts due to potential compliance issues with a, now former, employer, which was unfortunate. So, on that note, please make a comment if there is something in particular you'd like to see more or less of, and we'll see what we can do. Don't count on us cleaning up our language or formalizing our style (sourcing is for sell-side research teams! ), but I'd like to post more of what folks are interested in.